Various discount codes for various websites. If you want to go to Aqua Basilea in Pratteln on a regular basis and you're considering getting a yearly abo (1250 chf), and your insurer offers a discount on fitness clubs of more than 100CHF, then get a yearly abo to Migros Fitness for 1350CHF - which gives you unlimited access to Aqua Basilea swim and sauna for no extra charge. Print out (colour or black and white) and use at normal checkout. Or just have it on smartphone for use at self-checkout. Valid CH-wide until end of March. Works without Supercard for those who don't have one. when you want to buy trainers, sneakers or other sports clothes. bought like 20 pairs of business socks for somewhat 20 CHF. I have been the first time to Otto's. First time? And you've been in Switzerland for how long? Not every town or area has one. They are not often centrally located. I've never been to one either and I've been here ages. In all my time in Switzerland, I've been to Otto's once; never again. It's not a nice place to shop. Literally no windows, cramped, tad claustrophobic... true! But very good for certain bargains. The one time I did go, it was because a friend tipped me off that they were selling Tim Tams. That won't mean much if you're not Australian, but everything if you are. There is a new one in Bülach which is quite decent. I go there a couple of times a year for household products, currently they have Ariel and Omo products for well under half price! Actually, I think Weetbix are superior to Weetabix and I do have experience of this - when I was in Perth, I ate sixteen for breakfast every day - in a mixing bowl! 16!!! And here you're pushed to find a packet with more than 12 in! Coupon for use at self-checkout in Coop. 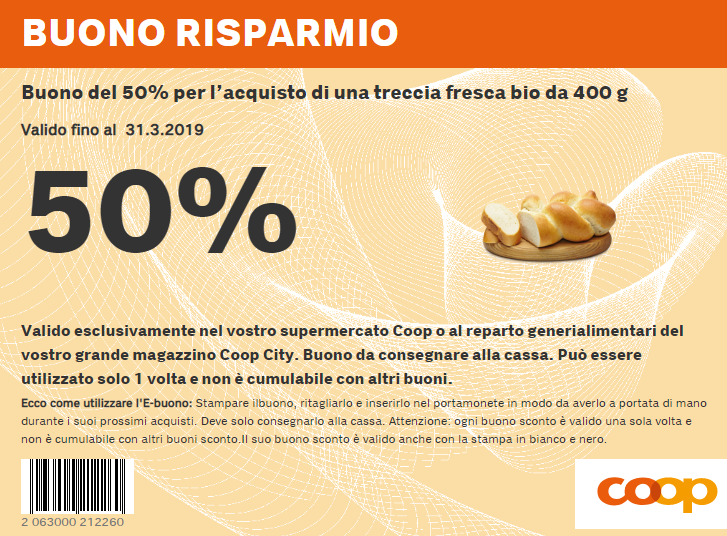 Valid until Saturday 16th February 2019. Can we revert back to real bargains in this thread? 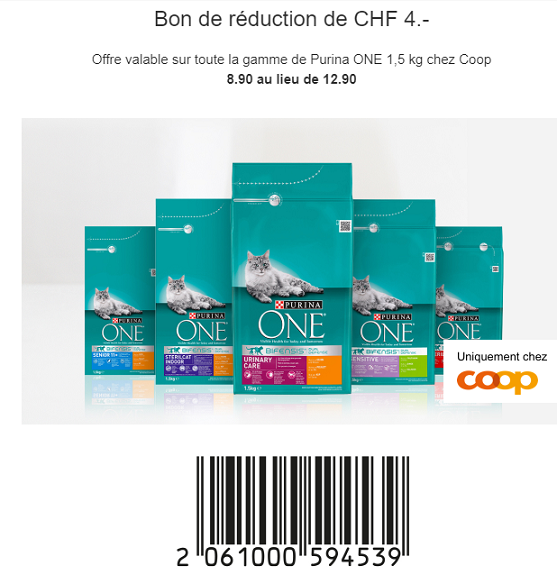 4 CHF off cat-food is not really worth mentioning imo. You want to pay 30% more? Not everyone has a lot of money and not everyone can get to a neighbouring country to pay less. Some people on here may be on a budget, or may simply want to save money. Every franc counts.